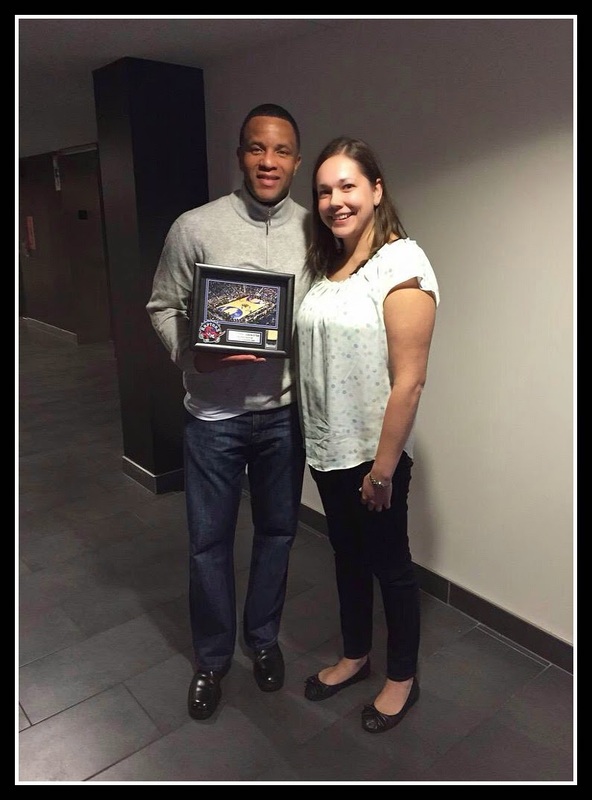 I can still remember the first Toronto Raptors game I attended. It was fall of 1995. I was in grade 8. My Uncle had seasons tickets in the 500 level at SkyDome so my Mom bought some and took my brother and I to quite a few games. Having my first NBA experience in a stadium built for baseball and football was interesting, but all Torontonians were just so happy our city finally had a team. 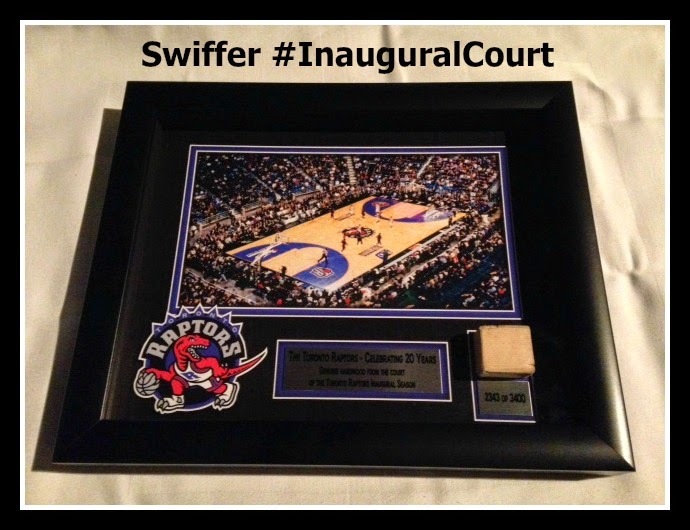 Who knew 20 years later that Loblaws and Swiffer would team up to give fans a piece of the Inaugural Court? So you want your own piece? Simply visit a Loblaws store and purchase $15 worth of Swiffer products. Then visit showyourclean.ca to download a form to fill out, and mail the form along with your receipt and bar codes. Not only are there a limited number of pieces, but there's a time deadline too - mail must be post marked by June 30, 2015 to qualify. As I type this, the Toronto Raptors are making history by playing their second play-off game of 2015 on Swiffer Certified Hardwood. Will you own a part of their history from 1995? So cool! How was dinner?